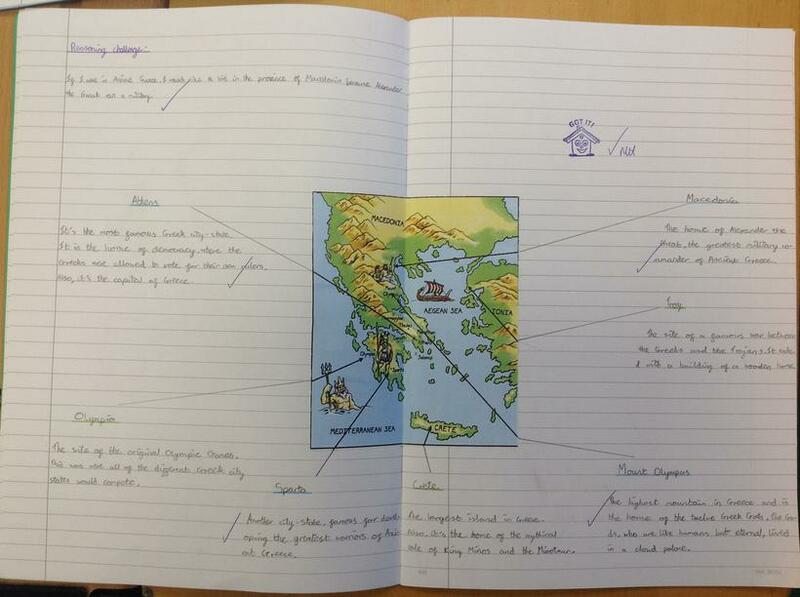 How did the Ancient Greek landscape impact its people? To begin our study of life in Ancient Greece and its achievements, we began by looking at the geography of Ancient Greece to investigate how its landscape may have impacted its citizens. Through our investigation, we discovered that Ancient Greece did not just cover one country; it included countries such as Macedonia, Ionia (modern-day Turkey) as well as colonies all over the world. Using a VR simulation, we were transported into Ancient Greek life, with its mountainous regions and small secluded islands. We explored the challenges these features may have had on the day-to-day life of the Ancient Greeks as well as the clues it gave us about how they may have lived including their diet, transport and trade links. Ruby explains, "Because parts of Ancient Greece was a coastal region, this means that their diet would have been full of fresh fish and there would have been fishermen jobs so that they could feed the citizens. Furthermore, from the map you can see that Crete is a separate island, but close enough to Greece to be reached by a boat. Not only does this explain that Ancient Greeks needed boats to reach the smaller islands (and boat builders), but also why they might have believed that King Minos sent the Minotaur there!" 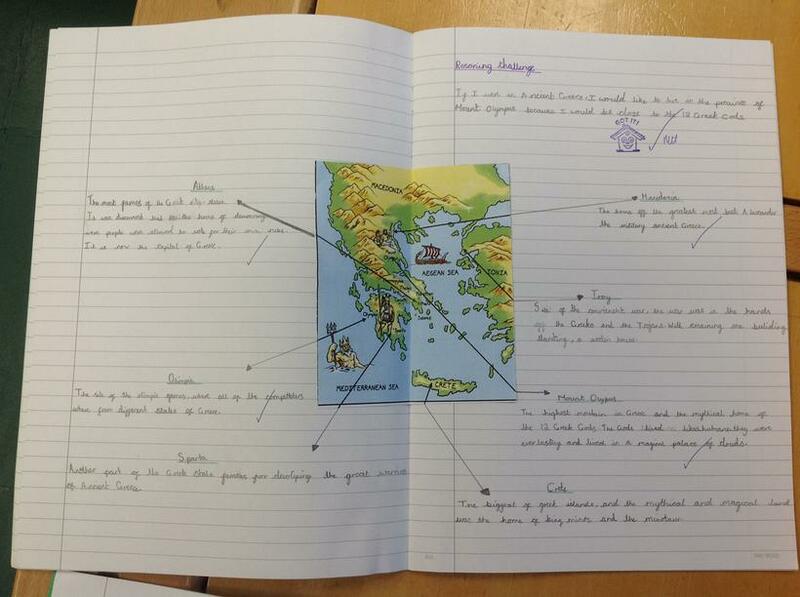 Next, we looked in closer detail at significant geographical locations for the Ancient Greeks, including: Sparta; Athens; Mount Olympus, Troy and Macedonia and justified the province we would have wanted to live in if we were an Ancient Greek. Georgie explains, "I think I would have liked to live in Athens because not only is it an important state, but also it was where democracy first started. I think it is important that we get to vote about what happens in our country.